Salt Lake temple from Church Headquarters. I got to go in the Salt Lake Temple this morning for the first time :) It is so amazing! I have been teaching about how its been built for the last 3 weeks now and I finally get to go inside and experience it for myself. The whole time I was just thinking about all the work that went into it. The paintings and the carvings done by hand all over a 100 years old. It was beautiful and it is something I will never forget. Can't wait to go again! :) After we finished at the temple this morning Sister Dias and I went out for breakfast and went to one of the theatres and watched "Mountain of the Lord". It was really cool to watch this after going through the temple too. Did you know that the people here wanted to call Utah, the state of Deseret but they wouldn't let them. They had them call it Utah after the natives that live here. But Utah means "Top of the mountain." and in Isaiah 2:2 it says "And it shall come to pass in the last days, that the mountain of the Lord’s house shall be established in the top of the mountains, and shall be exalted above the hills; and all nations shall flow unto it." Well this has totally come true, people from all over the world come here everyday. I have met people from Israel, Indian, UK, Asia, Australia, Brazil and all over America, just to name a few. This truly is the latter days and this really is God's church. So last night we had our Independence Day talent show. It was a ton of fun. We had hot dogs, watermelon, chips.... Sisters showed us their talents. The sisters from the islands did hula dancing and other cultural dances. Some sisters sang. One district did a skit with lots of Disney songs in it. I think my favourite one though was when 2 sisters rewrote the lyrics to pumped up kicks to fit our day to day situations. :) All the Canadians participated in a skit to celebrate how awesome Canada is. All I can really tell you is that it was awesome and you will have to wait till you are done your missions and/or when my mom gets my camera card in the mail.... I have yet to send it. So don't hold your breath. I did have one very up lifting experience I can share with you though. I only had a few investigators to call last week. Most of the ones we have on TC (teaching center) are Portuguese. Sister Dias said she could translate for me but I feel like my time is better used in contacting others. So I have all the English and she has the Portuguese. After calling all 15 of the number. I have nothing to do. So finally, I emailed out that I wanted more investigators and that if any of the sisters could transfer any extra people I would be glad to take them. I got about 35 in a few days. I am still trying to get in contact with a few but this one less active that I got named J turned out to be pure gold. 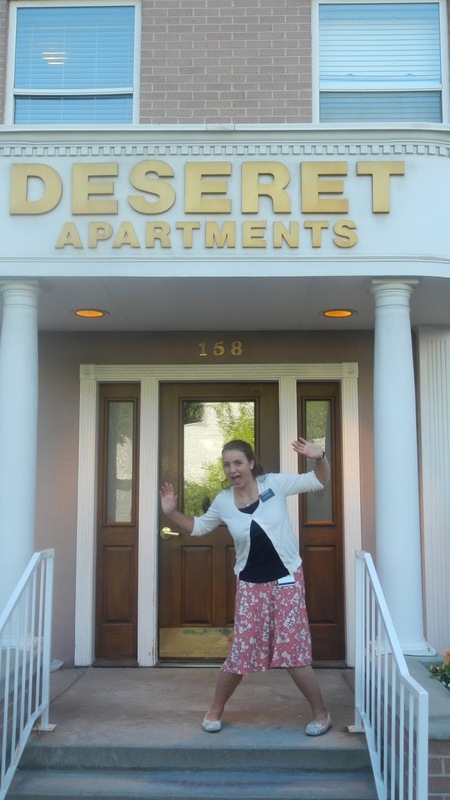 I called her up just as she was leaving the temple actually and we had an awesome conversation about her concerns and how she was doing now. We really connected and talked about her past concerns with the church. 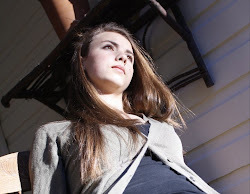 Things she didn't understand and talks/scriptures that comforted us. It was really what I needed that day. She said that she would be happy to phone in on lessons with us. She is only about 24 yrs. old and is a new mother I believe. I hope I can meet her sometime it was really good to talk to her. Tonight/this afternoon we are having our first zone activity. We got really creative and decided to watch a movie. ;) I just don't know which one.... Its just going to be nice though to sit back and eat junk food with the sisters. You know kinda like a girls night. But we have to put our skirts back on to go to the apartments. 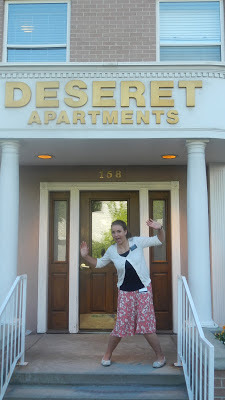 Sister Bascom in front of her apartment building. Well that's all for today kids, remember God made you special and he loves you very much.